As a writer of fiction based on my travels, it's really helpful for me to write things down, just to remember the little things. I like writing down little conversations that I overhear (and I do that a lot) , the name of weird things I ate and things I enjoyed. Sometimes people talk to me and say strange things, and I like writing it down. Sometimes I even write down things I bought just so I can keep track of myself. 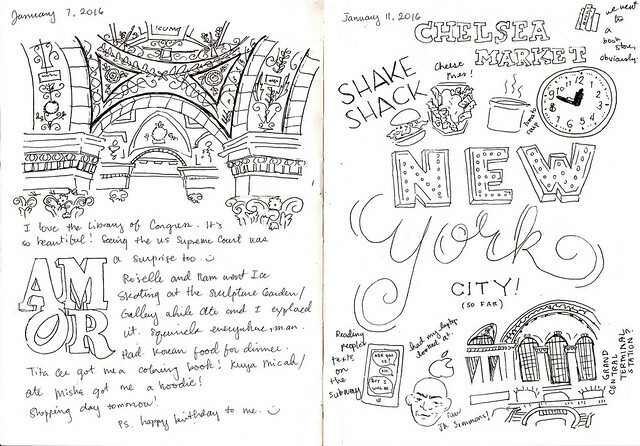 For our US trip, I wanted to practice my sketching and lettering so I drew a LOT more. 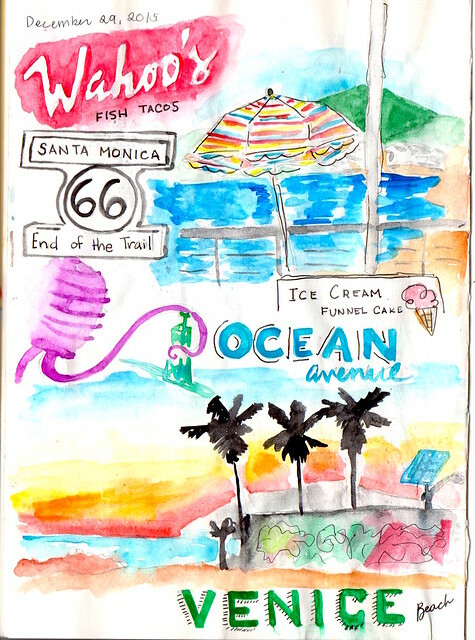 I got a notepad from Korea that was 100 gsm, so I I watercolor-ed like crazy! Of course the paper warped a little and I got a little lazy to watercolor at the end, but it's a start! Just in case you couldn't tell...that is a drawing of JK Simmons under the Apple logo because I saw him! Quite possibly my favorite day! I started by being a little light on the watercolor and then just went CRAZY with color. 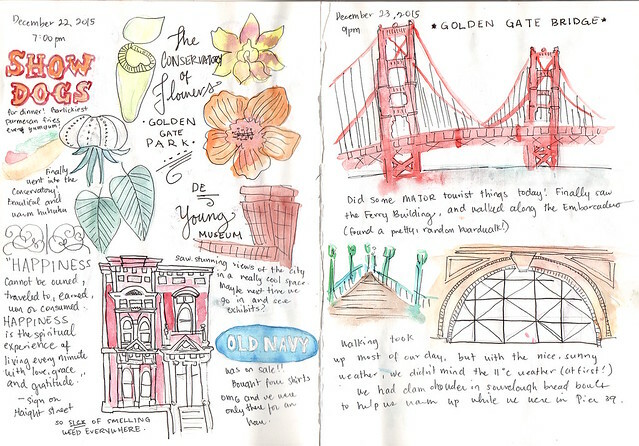 I'm determined to keep trying to do this urban sketching thing. I even read a book! HELP. I have a severe case of tsundoku. From last year's bad book streak, this year, I just want to get my hands on all kinds of books--and now that I work, I have become weak. It's not just ebooks and romance books now. Nope, my tsundoku extends to books that I love on an aesthetic level. As in, I would like to buy them because they're beautiful. I recently signed up for Skillshare and obsessively watching Mary Kate McDevitt's series on Hand Lettering, and there are whole parts that feature her looking up inspiration and talking about how she draws from it. I love the way she obsessively picks up on the thing she wants to draw and takes little hints from it to make her own work. That being said, my inner book hoarder has been wandering over to the design section of bookstores. God help me, these books are EXPENSIVE, but they're the kind of books that inspire you to pick up your pencil and get sketching. You will see this list is incredibly short--only two books long, but I use them both when I don't feel like Googling for too long. Even Google has its limits sometimes. Who would have thought a book about buttercream cupcakes would be the ultimate resource? I love this book! 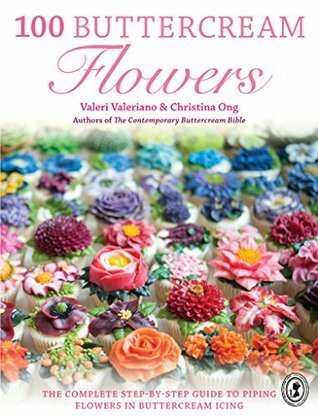 It's basically an instruction book on how to pipe gorgeous, buttercream flowers by these amazing Filipinas who opened their own bakery in the UK (bonus!). The book features 100 flowers in different hues, and has little tips on how to mix the colors. I pick up this book when I'm a little lost on what flowers to add where. It hasn't let me down yet! My dad got me this book ages ago, and I didn't really appreciate it until now. It's got a lot of inspiration for fonts, and tips on how to avoid making your letters look less awkward. 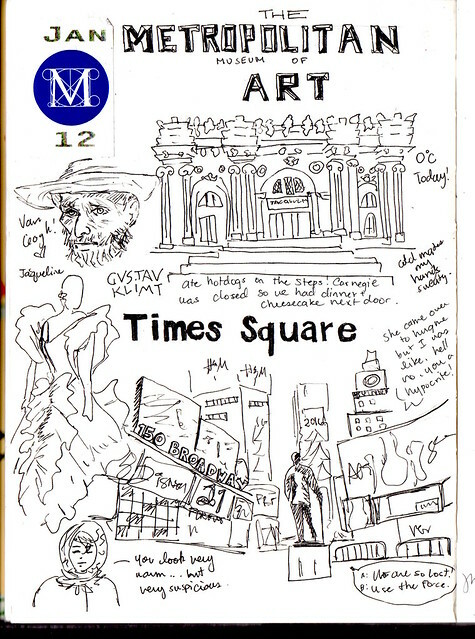 I love the practice guides at the back too--although I would never write on it! I picked this book up at a Php 10 warehouse sale, and I look at it whenever I'm stuck on drawing swirls and general borders. The cover alone was enough for me to drag it home. The illustrations inside are quirky and fun, and the poems still make me laugh! God I am a child. I told you my list of books is pretty short. But until I clean out space in my current bookshelf (nooo! ), I need to restrain myself and just admire these books a la distance. Or not. We'll see, won't we? I saw this book on Skillshare, while watching Kelly Thorn's (the cover artist) Skillshare class on combining lettering and illustration. It's basically this love letter to the unique typography in Paris, as if Paris needed more reasons to be beautiful. The book is full of photographs of unique typographs of signs and notices all over the city. I looked back on my photos and realized I was kind of doing the same thing---but this is just amazing! 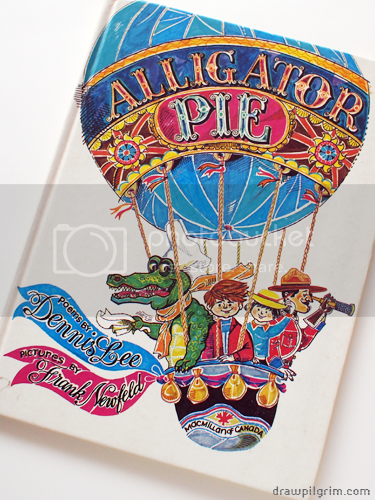 I haven't seen this book locally though, which, ARGH! I've had letterers I know swear by this book. It takes you through every part of lettering--from inspiration, sketching and Vectoring, which is so beyond me right now. Oh and the preface is by Louise Fili, so I think we're in good hands! Another reason I didn't need to love Paris. Seriously. 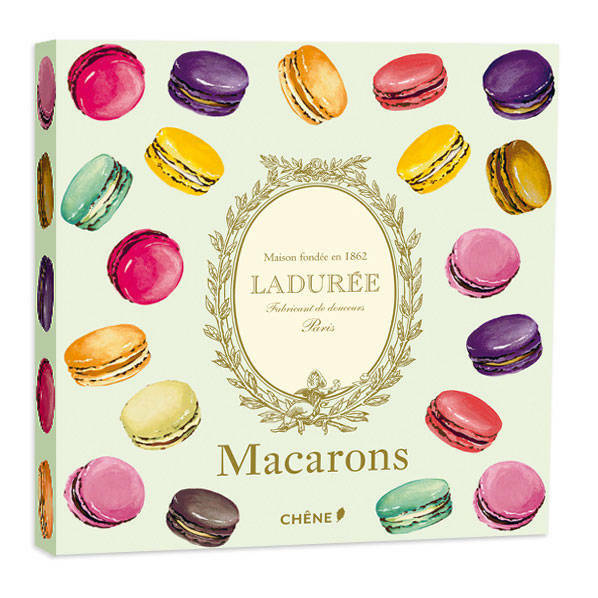 I've been admiring these Laduree books since I saw them in National Bookstore (there's one on interiors alone!) and I'm itching to get my hands on one, just for the pretty Parisian details I'm so in love with. I can already feel my wallet opening, shoot.